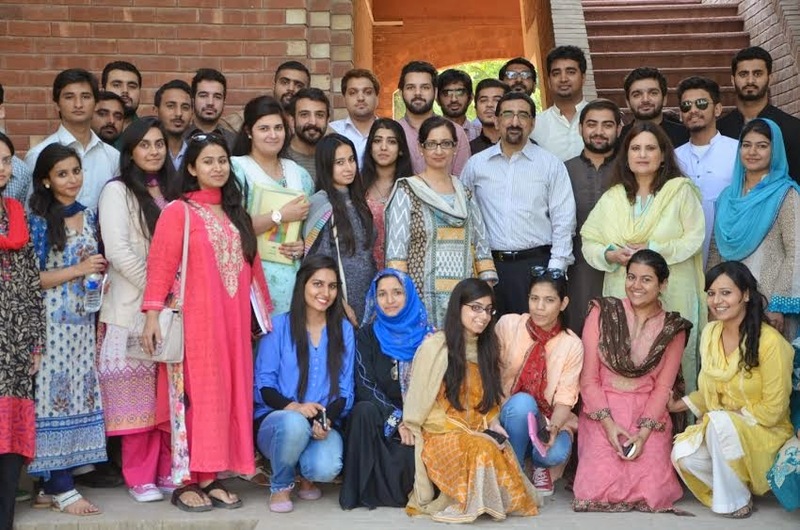 Mr. Farrukh Rasheed, head of Human Resource at Hubpower, visited The Lahore School of Economics to impart the knowledge from his experience on leadership and answer the questions of the MBA class of the organizational behavior and leadership course. His talk was stimulating and engaging, receiving a great response from the students. Farrukh Rasheed emphasized upon three questions that contribute to the heart of leadership: what is leadership, why it is important to learn about it and how to implement? The speaker also elaborated upon the concept of managing people and reinstated the importance of fairness. He said, "people care about the decisions you make, they care more about the process you used along the way." 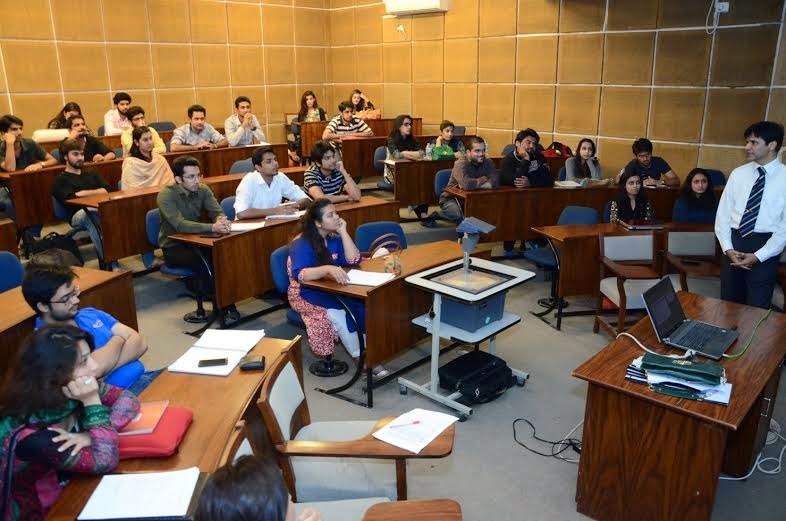 The Lahore School Economics Society (LSES) organized its first orientation on November 17, 2014. 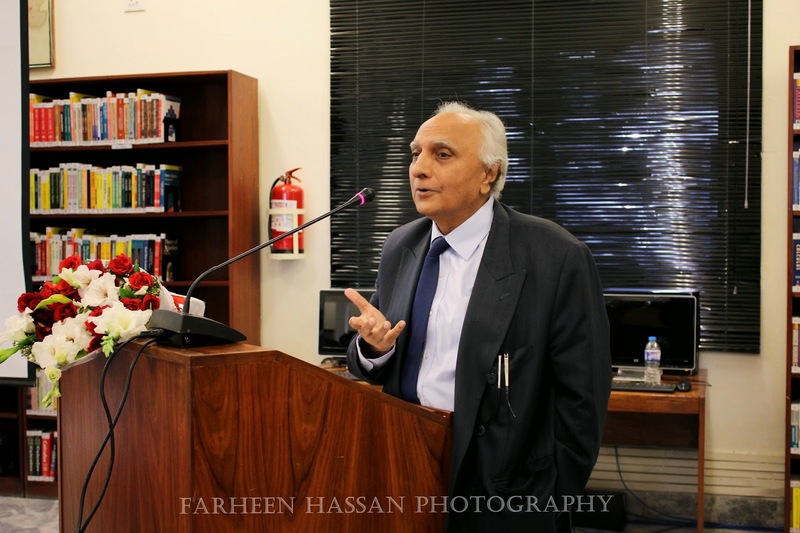 Dr.Shahid Amjad Chaudhry, the Rector Lahore School was the guest of honour. Large number of students and faculty (including Dr. Azam Chaudhry, Dr. Theresa Chaudhry, Shamyla Chaudry and members of executive council) attended. First, Dr. Waqar Wadho the Patron of Society thanked Dr. Shahid Amjad for providing this platform and addressed students that LSES aims to provide them with a platform to connect with fellow Economics students within and outside LSE (within and outside Pakistan), to connect with eminent economists (Pakistani and foreigners) and to connect with professionals (including LSE alumni) to form a vibrant economics community that is more informed, engaged and aware of the scope of opportunities and relevance of economics. 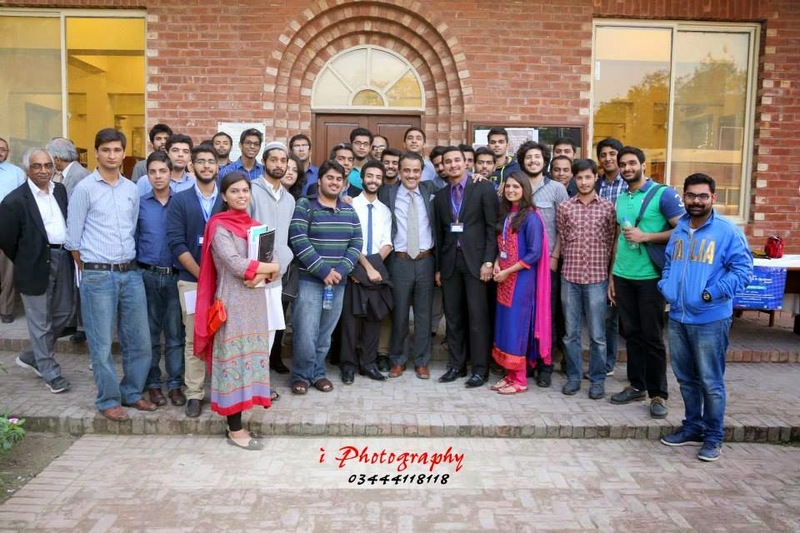 Mr. Mir Mohammad Ali Khan visited Lahore School of Economics on November 11, 2014 to give an speech to the students. He was hosted by Dr. Shakil Faruqi, who happens to be the guest speaker’s university fellow at Rutgers, Princeton. The event was hosted at MCL Library. 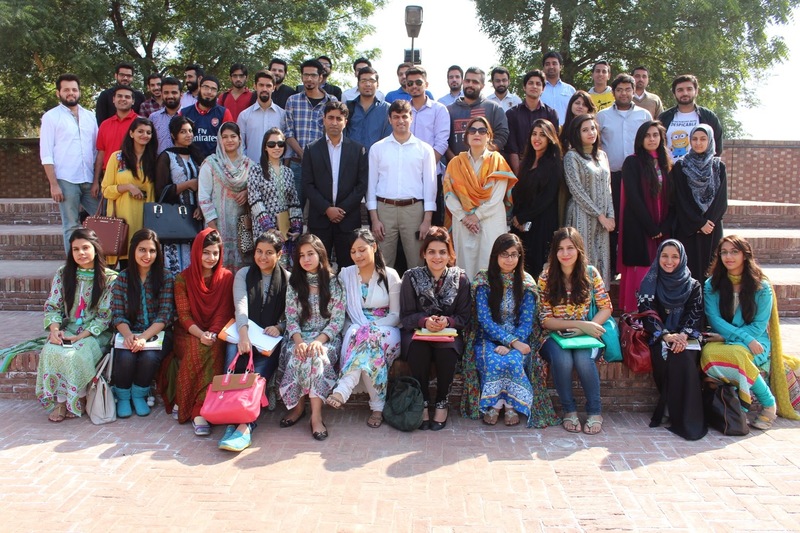 Over 300 students and aculty from the Finance and Extra Curricular Departments (Samra Chaudhry, Dr. Sohail Zafar, Dr. Farooq Chaudhry, Javed Qureshi, Arshia Azhar and Mawal Sara Saeed) attended the event. Dr Shakil Faruqi opened the session, and introduced the speaker. Soon after, Mr Mir Mohammad Ali Khan delivered a speech based on “success and positive mental attitude’’. He presented the students his life story. The story of how a chain of events turned out to be good, bad, ugly and the ugliest in his life and pushed him into severe depression. How he overcame those problems of life and decided to move to Pakistan, because he believes that this country has the potential. He believes in the potential of youth of Pakistan to bear problems with patience. He said in his speech that a person could achieve anything if he or she believes in themselves and never stop trying. He urged students not to ever lose hope, and maintain mental tenacity that is required to be what they aspire to be. An entrepreneur is someone who starts with nothing and builds an empire. 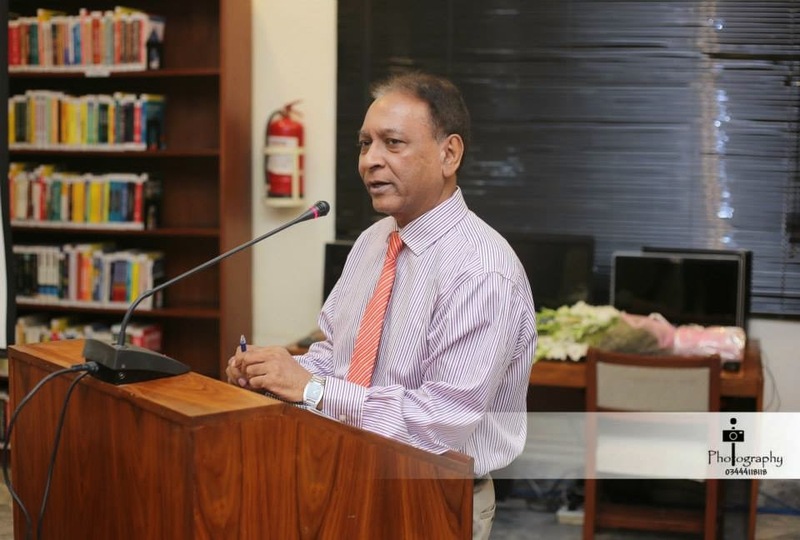 What makes an entrepreneur unique was the first question Mr. Salim Ghauri, CEO NetSol Technologies asked while addressing the students on November 12, 2014. He told the students that leaders and entrepreneurs do not care about the consequences; they step forward and take actions. Giving examples of famous entrepreneurs he said the difference between them was only that some defined their lives like Richard Branson of Virgin Group and Lakshmi Mittal of Arcelor Mittal. While some changed the world, giving examples of Bill Gates and Steve Jobs, whereas some worked to change their countries. His journey of being an entrepreneur was totally unplanned and the reason he was successful today was because he was a risk taker, a decision maker, one who followed his dreams, created opportunities and believed in himself. He said that one should never run after money. He told the students to be focused, have faith, work hard and success will eventually come to them. Mr. Ghauri said that money would never bring happiness but job satisfaction always would. Fear is the biggest fear of trying something new whereas there is no success without failing. 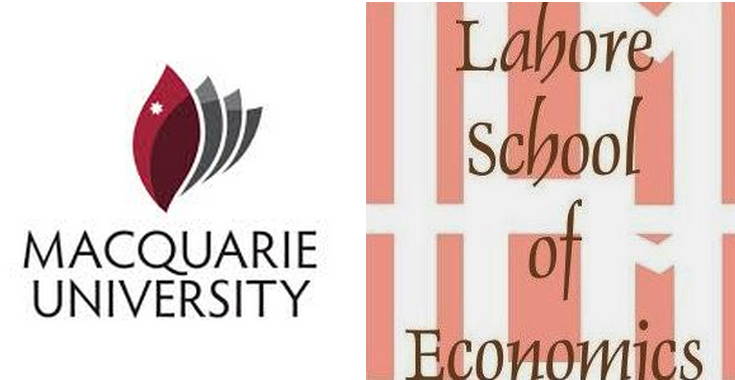 The Lahore School of Economics has recently established a long term cooperative relationship with Macquarie University, Australia. The Lahore School of Economics has been given the highest rating by the HEC’s business school accreditation council and Macquarie University has been ranked as a 5 start university by the QS rating system. Macquarie University comprises of 33 departments with five faculties and the university offers 87 undergraduate courses and 124 different postgraduate courses to students. The areas covered in the joint agreement are Student Exchange Faculty Exchange, Joint Research, Joint conferences/meetings and Exchange of Academic Materials/information. 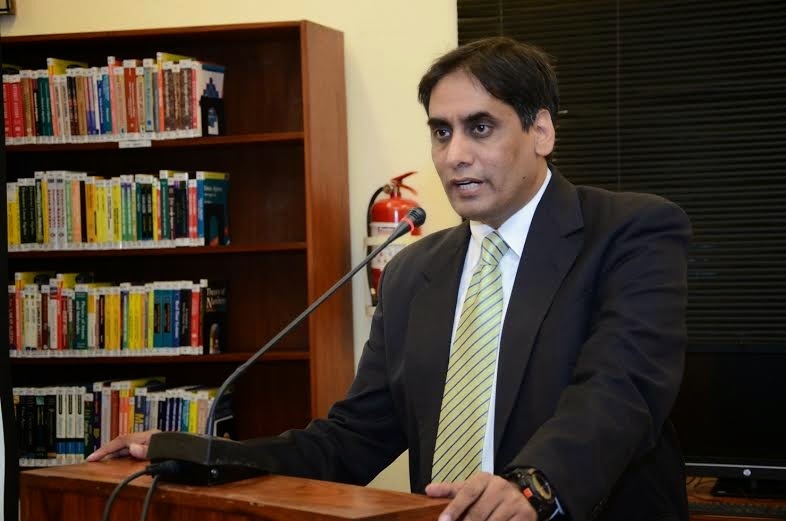 “Academic education is integral in shaping individuals to be qualified practitioners but does not guarantee the development of effective strategists; for that something needs to come from within, an idea, an inspiration, an ideology, to absorb the external stimuli and develop an inception,” said Mr. Muhammad Abrar Ameen, CEO VRG Pvt Ltd while speaking to Lahore School students while giving a lecture on November 12, 2014. Effective strategy is congruent with effective planning. With theory, there has to be some practice. Strategic management is neither purely an art nor a science; it is an amalgamation of both. A strategist is a realist, a revolutionist who would create a new line of thinking in a different space. Strategizing is versatile; one has to take both the external and internal factors into consideration before formulating a strategy. A strategy should be one which sets precedence, one which facilitates in premium exemplary offerings for rewriting textbooks. An example of this would be of how a local organization from within Pakistan took the order of massive production of FIFA world cup footballs when China was not able to meet the demand. 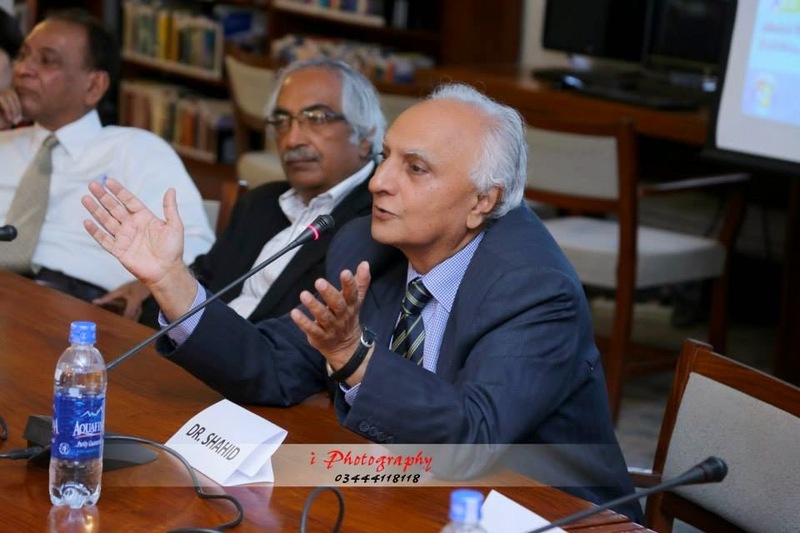 The Marketing Society of Lahore School of Economics held its Orientation Session on 13 November. Senior faculty and some 130 students attended the one hour introductory session. 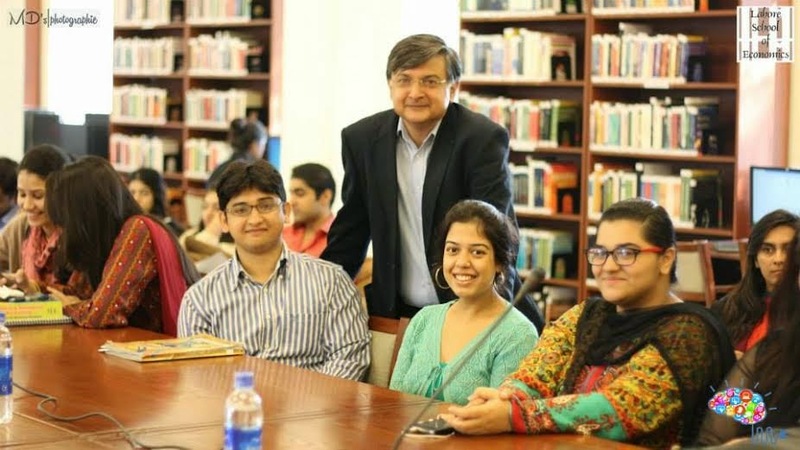 The Marketing Society has been set up under the Academic Club of the Lahore School (other societies include the Finance, Management, Entrepreneurship and Economic societies). As Dr. Shahid Amjad Chaudhry, the Rector of the School, informed the Marketing Society Orientation participants, these societies have been set up to bridge multiple gaps: theory and practice, faculty-led classes and student-led societies, domestic and external audiences, and so on. And all of this learning, as the Rector pointed out, will happen under the patronage of the experienced and capable faculty of the Lahore School. The patron of the society, Dr. Aamir Khan, addressed the audience and briefly explained that marketing was more than 4P’s and basically asked two questions: How did one create value and how did one communicate value? Then, other faculty members and the Marketing Society Council, composed of students, addressed the audience and informed them about the future activities, the most important of which was an Advertising Competition to be held in February 2015. A workshop on this will be held on November 20, 2014. This applied study in two volumes has been published for graduate level studies in banking, financial system and financial markets. It may also be helpful to professionals engaged in banking and financial markets or some niche of fast growing financial services industry in Pakistan. 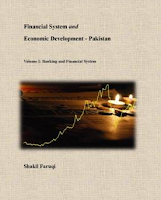 The primary objective of this text book is to enhance learning of what a financial system is, how it operates; how its operations impact the economy; and how this performance in Pakistan compares with those of comparator countries. In parallel, how operations of financial system affects well being of various segments of society, though social dimensions of impact are not a part of analytical framework of financial system. 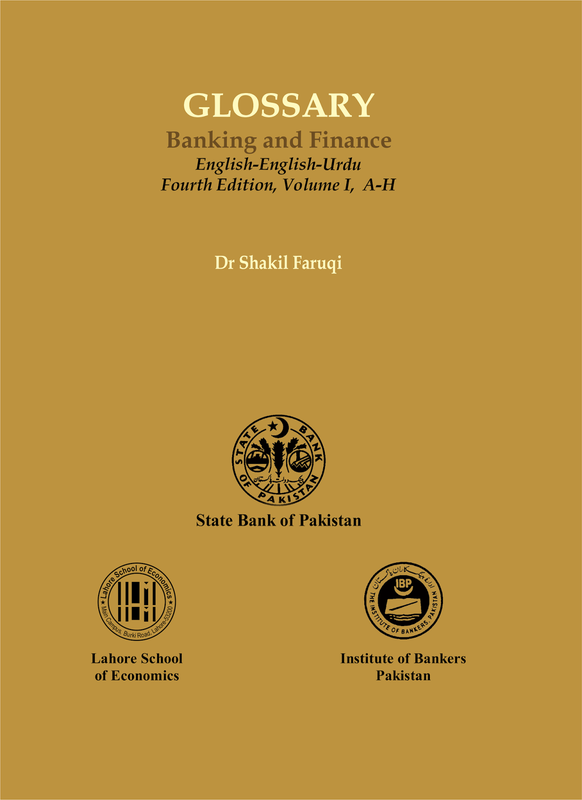 The fourth edition of this bilingual Glossary in Banking and Finance in two volumes by Dr Shakil Faruqi has now been published by Lahore School of Economics, State Bank of Pakistan and Institute of Bankers. Earlier on, three editions in a single volume were published and printed by State Bank of Pakistan in participation with the Institute of Bankers. Ms. Quratulain Ibrahim, CEO TNS Aftab Associates came to Lahore School of Economics and gave a talk to the MBA final year students on October 31, 2014. Ms. Ibrahim has 19 years of experience in the marketing research industry. Ms. Ibrahim started her presentation by talking about the role of marketing research and the three different types of research: descriptive, diagnostic and predictive. She said that a manger should be able to predict the future and take innovative and developmental decisions, brand and communication decisions, retail and shopper decisions and customer and employee retention decisions. She also explained concept tests, blind taste tests, price tests, pack tests and product tests. 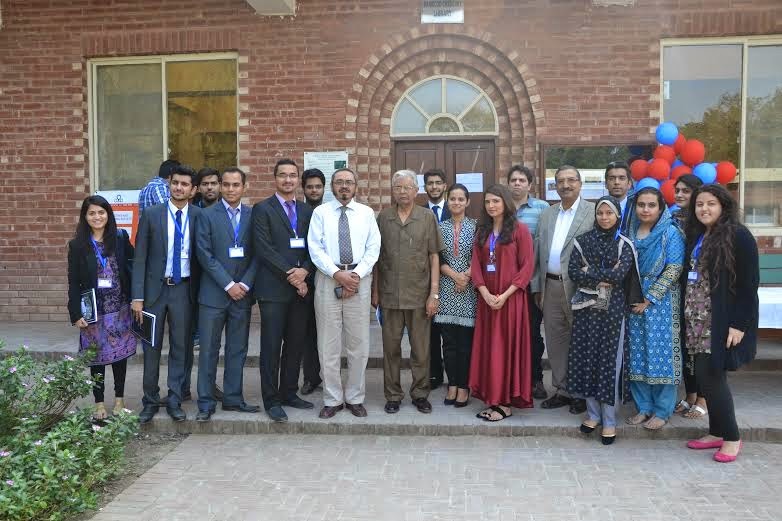 A seminar on Human Resources Management was held at the Lahore School of Economics on November 10, 2014. Mr. Wasif Waseem Ashraf CEO and founder - 360d Consulting gave presentations on HRM and talked about job perspectives that was followed by Mr. Ahsan Rashid CEO and founder - Optimus Pvt Ltd. The speaker told the audience that the greatest challenge they faced was to deskill fresh graduates. He then spoke about the three revolutions starting from the invention of wheel and today entering the era of the third biggest invention, which is the Electronic and Geonomic world. “Don’t concentrate on the ingredients, concentrate on the process,” said Mr. Ashraf. 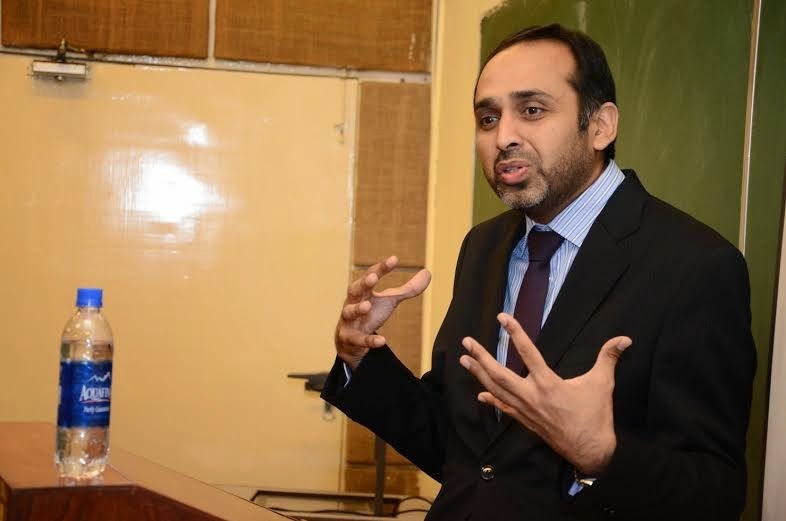 Mr. Umar Zafar, Chief Strategy Officer at NetSol Technologies came to Lahore School of Economics to deliver a talk to the BBA final year students on Oct 30, 2014. Mr. Zafar talked about the global market, social media, research and development and corporate social responsibility. He laid great emphasis on values, tolerance and responsibility. While giving advice to the students he said that one should look for jobs with an open mind and that it was always a good idea to explore all options and not just restrict to a certain sector. 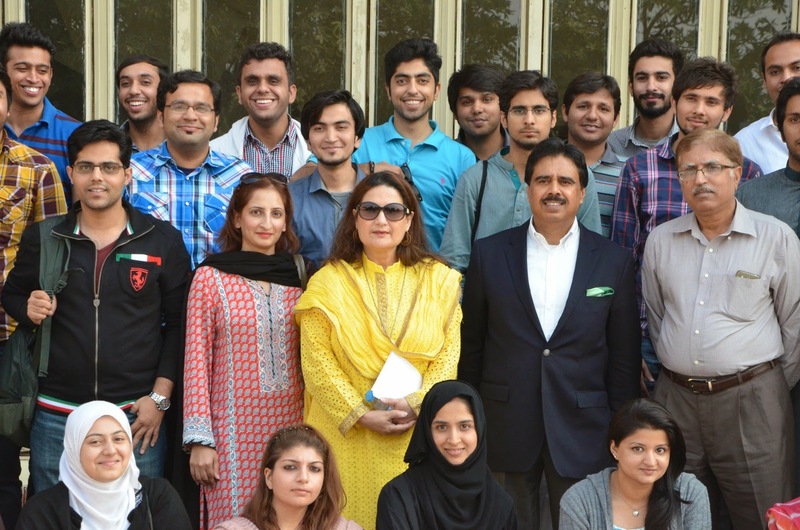 Lahore School Entrepreneur and Business Society had their first orientation on October 30, 2014 in SBS Library. The orientation was an open event for all students irrespective of their study year and degree. Dr. Sohail, Prof F. A. Fareedy, Mr. Haroon Ahmed, Mr Faizan Khalid and Mr Saad Shahid also attended the event. The Society provides a platform for the students to be young entrepreneurs and think outside the box. Students would be updated of various upcoming events and activities that would broaden their mind and thinking in the field of business, to think and be like an entrepreneur as well as shape up their practical and social skills by becoming a member of such a productive society. 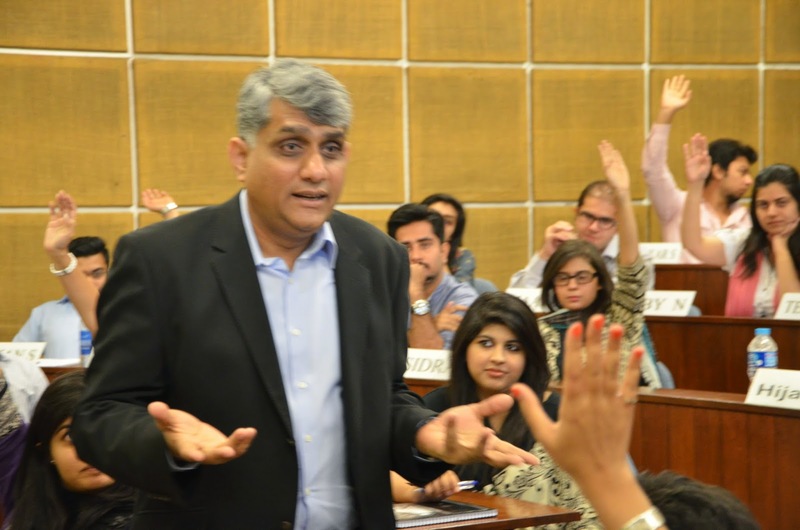 Mr. Nadeem Rehmani, Director Operations, METRO, and a very experienced speaker on the managerial circuit, paid a visit to the Lahore School on November 6, 2014, to deliver a talk on Leadership and to answer questions of the MBA participants of the Organizational Behavior and Leadership course. The talk and his answers were very well received. He began by noting that a manager was appointed by the company whereas leadership had to be earned. However, even junior managers can become leaders because it was the situation which created leadership. The more unusual insight from him was that a leader had to balance between confidence and humility, aggression and patience, optimism and realism, and between deliberation and decisiveness. Dr. Rehana Naz, Associate Professor at the Centre for Mathematics and Statistical Sciences, Lahore School of Economics, presented her on-going research article on Economic growth theory at the 57th Annual Congress of the South African Mathematical Society held in Unisa Science Campus, Johannesburg, South Africa on October 29-31, 2014. She was invited as a guest speaker to a special session “Differential Equations, Continuum Mechanics and Applications” organized in honor of her PhD supervisor Professor David Mason’s 70th birthday. Dr. Naz presented a paper titled “The closed form solutions of two celebrated economic growth models via partial Hamiltonian approach”. The partial Hamiltonian approach is algorithmic and applies to many state and costate variables of the current value Hamiltonian. The current value Hamiltonian systems arise for two celebrated Economic growth models: Ramsey model and Lucas-Uzawa model. The partial Hamiltonian approach is utilized to construct the closed form solutions to study dynamics of these models. The gross saving rate, growth rates of consumption and capital are derived for the Ramsey model with endogenous time preferences. For the Lucas-Uzawa model, closed form solutions are constructed to study several features associated with transitional dynamics of model. Lahore School Management Society [LSMGS] orientation was held on October 28, 2014 in the SBS Library with four hundred students in attendance. The event was organized by the Lahore School Management Society’s Council: Shehroze Jamali, Myrah Khan, Sehar Bano, Sheza Khalid, Waqar Khurram, Manal Burki, Sajid Abdullah Wattoo, Ali Gill, Aleesha Raza and Zawar Shahid. 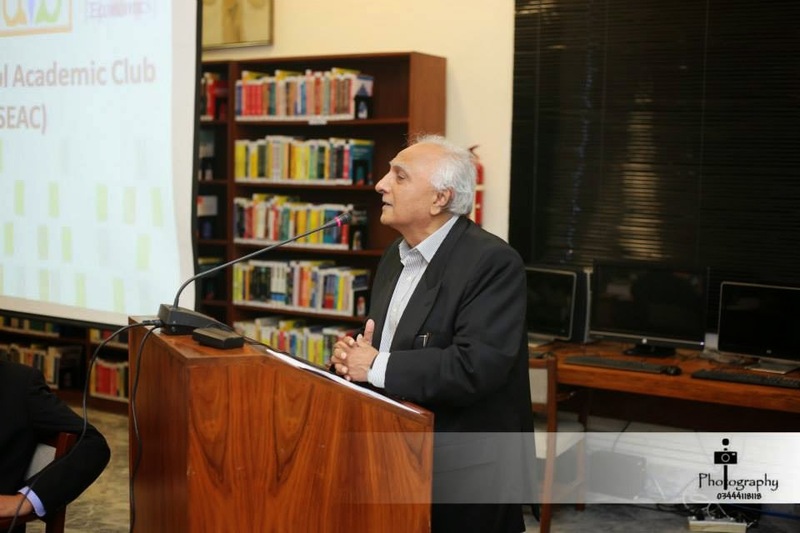 Dr. Shahid Amjad Chaudhry, Rector of the Lahore School of Economics who was the guest of honour addressed the audience and enlightened them about the progress of the Lahore School. Dr. Sohail Zafar, Dr. Azam Chaudhry, Professor F.A Fareedy and Dr. Nayyer Zaidi also spoke on the occasion. The Lahore School of Economics Finance and Investment Society [LSFIS] had their first orientation on the October 29, 2014 at SBS Library. The event was open to students, irrespective of their academic year and opted degree. The society objective is to provide a platform at which students can know more about finance and investment opportunities. Students would be informed of various upcoming events and activities that would help educate them about the workings in the field of finance and investment as well as shape up their practical and social skills by becoming a member of such a society. The society thanks the faculty members (Dr. Shakil Faruqi, Dr Farooq Asmat Chaudary, Professor Fareedy, Dr. Sohail Zafar, Mr. Ahsan Rasheed, Professor Sajjad Naseer, Dr. Nawazish, Dr.Kumail, Ms. Faiza Murtaza, Ms. Sana Azhar and Ms. Meher Afzal) for taking out time to attend our event and to speak there. All speakers emphasized the importance of a society providing link between finance and investment and the benefits that would be derived from becoming its member.